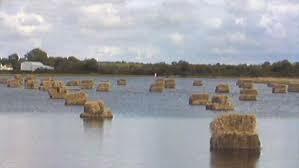 Compensation made following flooding loss or damage to animal feed. Hundreds of farmers were granted payments under the 2015/16 fodder aid scheme. The supports followed applications from stock owners where animal feeds were damaged or lost owing to flooding. Some 330 applicants received a total of €666,469.70. Galway, with 83 applicants secured €164,387.50 of the overall allocation.